Don't miss out on an opportunity for a GREAT VALUE in Woburn! Get ready to MOVE RIGHT IN to this lovely cape tucked away at the end of a quiet dead-end street! Walk in to the open living/dining area that boasts beautiful hardwood floors and plenty of closet space, complete with sliders that lead out to a deck - perfect for entertaining! Double-doors open up to the eat-in kitchen, featuring granite countertops and plenty of space for a table or island. The upstairs bedrooms and bathroom were recently renovated, with hardwood floors throughout and an updated bath. Full walkout basement with great ceiling height offers plenty of storage. 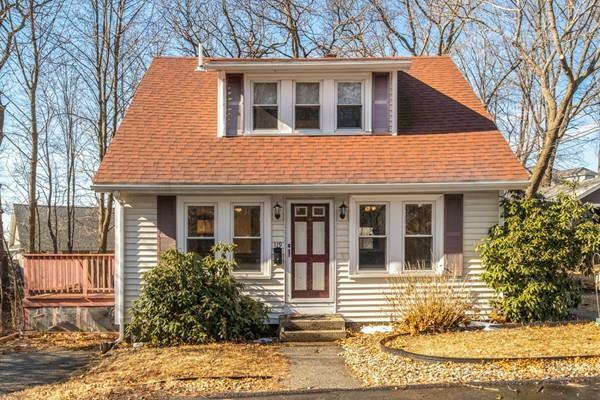 Great location close to all that Woburn has to offer, convenient to major highways and public transportation, parks and Horn Pond. Why buy a condo when you can get a single family home for the same price? Schedule a showing now...at such a great value this property will not last!